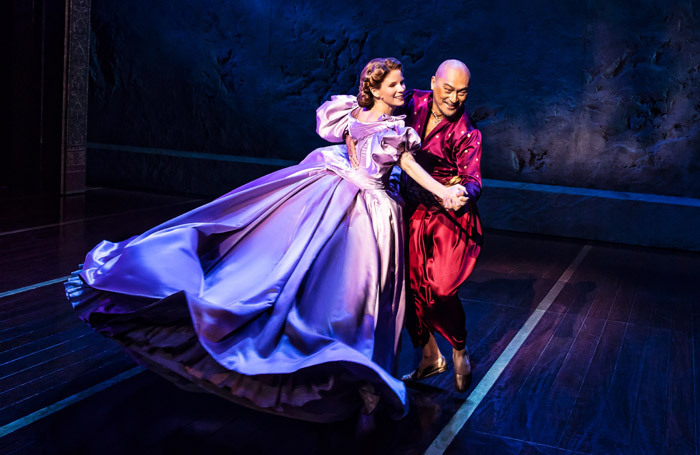 The filmed screening of West End musical The King and I  has become the most successful theatre-related event to be shown in cinemas this year, and is expected to take nearly £2 million at the box office. The Rodgers and Hammerstein musical, which transferred from Broadway to the London Palladium earlier this year, was screened in cinemas around the world on November 29. The production starred Kelli O’Hara, Ken Watanabe and Ruthie Ann Miles. Ticket sales are expected to amount to $2.5 million (£1.96 million) globally, significantly above its closest rival, the cinema screening of An American in Paris , which took $1.7 million (£1.33 million). Other theatre events in cinemas this year have included Everybody’s Talking About Jamie , the Royal Shakespeare Company’s Twelfth Night  and National Theatre Live broadcasts of King Lear and Cat on a Hot Tin Roof . The King and I broadcast was seen by more than 135,000 people around the world. Trafalgar Releasing, which distributed the film, has now added additional screenings this month. The Lincoln Center’s production of The King and I was produced in London by Panter for Trafalgar Entertainment Group, GWB Entertainment, BookMyShow, Tokyu Theatre Orb, Tulchin/Bartner and David Lazar, in association with Kham Inc.